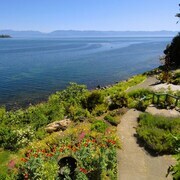 Situated on the waterfront, this condo building is 0.1 mi (0.1 km) from East Sooke Park. Very clean, beautiful views and great staff. 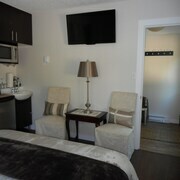 Our suite was absolutely spotless - it exceeded my expectations. Location is perfect for exploring downtown area. Excellent staff. Where to find Sooke hotels near an airport? Where can I find hotels in Sooke that are near tourist attractions? 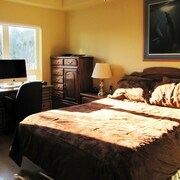 Sooke offers a range of long-stay and short-stay accommodations. Our Expedia hotel database features 13 accommodation options within a 0.1-kilometre (0.06-mile) radius of Sooke's town center. A secret to trouble-free traveling is convenience, so check out the latest deals at the Ty Collwyn Waterfront Retreat and Mariner's Escape by BC Island Vacation Homes, which you'll find a short distance of Sooke's downtown area. 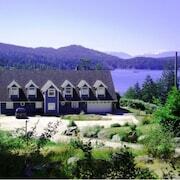 11 kilometres (7 miles) away from the middle of Sooke is the Ocean Wilderness Inn. This is a a smart option for those on a budget. 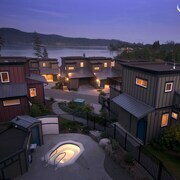 An alternative no-frills option in Sooke is the Prestige Oceanfront Resort, BW Premier Collection. 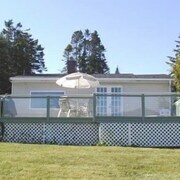 The Points West Oceanfront Resort is situated 10 kilometres (6 miles) from the center of Sooke. 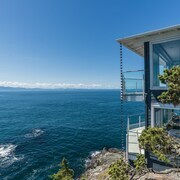 Or, alternatively, the Sooke Harbour House is positioned 2 kilometres (1 mile) away. The Brentwood Bay Resort & Spa and also the Sooke Harbour Resort & Marina are two more Expedia-listed hotel options in Sooke. The wider Vancouver Island area is well worth seeing as well. Vancouver Island is marked by forests, rivers, streams and lakes, and common Vancouver Island tourist attractions include old towns, history museums and open-air museums. Common activities in this particular part of Canada include snowboarding and skiing. Looking for things to do? Spend a few hours visiting Iroquois Park and Rotary Park, in Sidney, 40 kilometres (24 miles) to the northeast of Sooke. Some of our recommended Sidney hotels and accommodations include the The Sidney Pier Hotel & Spa and Beacon Inn at Sidney B&B. 25 kilometres (17 miles) to the east of Sooke, you may also choose to stay at Downtown Victoria, which is home to the The Fairmont Empress and Humboldt House B&B. While visiting Downtown Victoria, be sure to explore the Chinatown and George Mason's Heritage Home. Get your sporting fix by making a journey to Richmond Olympic Oval, which is 100 kilometres (61 miles) to the northeast of Sooke. Sports fans wanting to sleep near to the sporting action can make a choice from the Fairmont Vancouver Airport In-Terminal Hotel or the Vancouver Airport Marriott. Before you make tracks to Sooke, be sure to look through Expedia's Sooke travel guide where you'll explore the many things to do and see this fascinating destination has in store for you. What are the most popular Sooke hotels? Are there hotels in other cities near Sooke? 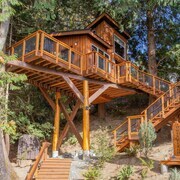 What other types of accommodations are available in Sooke? Explore Sooke with Expedia.ca’s Travel Guides to find the best flights, cars, holiday packages and more!